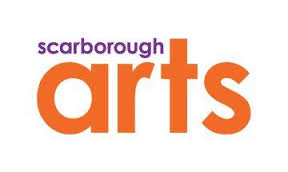 Scarborough Arts, 1859 Kingston Rd. An interactive element of the exhibit offers visitors to add your favourite murals to the Mural Archive Timeline! 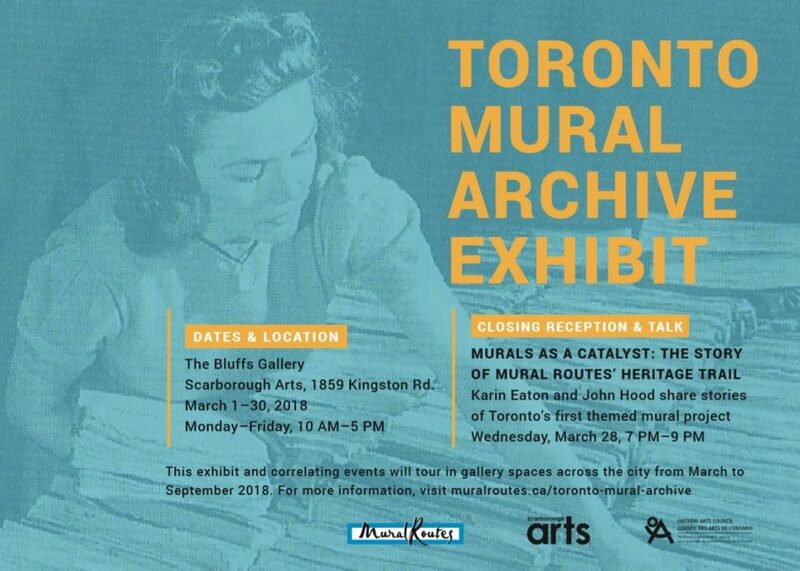 The Toronto Mural Archive Exhibit reflects on the history of mural art in the city, including the influence of Toronto’s first themed trail of murals created along Kingston Rd, Scarborough. The exhibit will host a closing reception and talk at the gallery on March 28th from 7-9pm. The talk is titled ‘Murals as a Catalyst: The Story of Mural Routes’ Heritage Trail, Toronto’s first themed mural project’. It will be led by Mural Routes’ Executive and Artistic Director Karin Eaton with artist John Hood, who will re-tell stories and reminisce about the beginning years of Heritage Trail. The Heritage Trail played a major role in the development of public wall art in Toronto. Inspired by the ‘mural town’ of Chemainus, B.C., Scarborough Arts spearheaded an initiative called the Heritage Trail, which produced murals depicting local Scarborough history along Kingston Road starting in 1990. The success of the first five murals of the Heritage Trail paved the way for the incorporation of Mural Routes in 1994, an arts-service organization that completed 12 Heritage Trail murals before broadening its mandate to include education and community murals across Toronto. The Toronto Mural Archive Exhibit will tour in 2018, in gallery spaces across Toronto. Each exhibit will coincide with an speakers event open to the public – with themes ranging from reflecting on the stories and history of the local mural scene, to innovations and looking towards the future. Special Events and Talks are to be announced – stay tuned for details! This project has been produced with the support of the City of Toronto through the Toronto Arts Council.